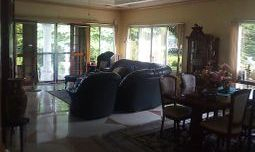 Beach house for sale and rent Philippines.DumagueteNegrosOrientalDauin properties. Do you dream of your own beach front house in the Philippines? Or maybe you are looking for a beach house for rent in the Philippines to get away from the cold winters at home. Sit back, relax and take some time to continue reading and the search for your dream property and beach house in the Philippines might end today! 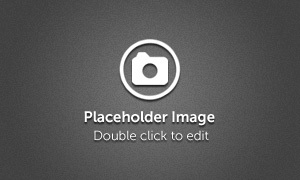 On this website we provide you with a selection of beautiful properties and beach houses for sale and for rent in Dauin, Negros Oriental, Philippines. The Philippines with its 7107 islands provide a large selection of beach properties and beach houses for sale and for rent, but one of the most important factors one should consider when buying or renting a beach house in the Philippines is the property location. 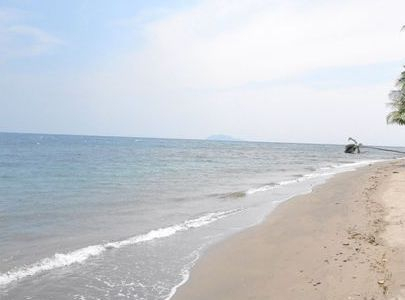 The beach front and near beach houses on this website are located in a safe and secured tropical beach front development property in the peaceful resort town of Dauin, Negros Oriental providing its residents privacy and exclusivity. Why buying a beach house in the Philippines? In the last years the Philippines has become one of the fastest growing economies in Asia and the real estate marked properties have upraised significantly in value and will continue to do so. A good example of this is the beach front properties and houses in Dauin, Negros Oriental. In the last 6 years the beach front properties in the resort town of Dauin have seen an increase in value with more than 300% and are still increasing as we speak. When you buy a beach house or condo in villa waterfront beach resort residences you do not just buy a beautiful beach home, you buy a solid investment property! The beach and near beach house and condos in villa waterfront are priced much lower than other comparable beach front developments in the region. Upon completion of the beach resort facilities the house and condo values are set to upraise with +25% and this does not even include the expected Dauin Beach front value increase. The beach front development “Villa waterfront beach resort” has a total land area of two hectares and comprises of “villa waterfront beach resort residences” and “villa waterfront beach resort”. Villa waterfront beach resort residence is founded to provide luxury and exclusive beach side living for people who want to buy or rent a beach house in the Philippines. With an array of beach front, near beach houses and beach condos for sale set on almost one hectare of lush tropical landscaped grounds the residences offers an ideal beach side retirement haven. only six beach houses will be available for sale with floor spaces ranging from 80 to 300 square meters. The beach villas will be set on private and tropical landscaped properties with lot areas from 430 to 2200 square meters providing residents a unique combination of privacy, open space and exclusivity. In the Philippines foreign investors cannot hold land titles. Instead, investors own their villas at Villa Waterfront under a long term lease model. The lease is on a rolling 25 + 25 year basis. Buyers / investors of Private owned villa's will have their name annotated on the plot title. This ensures that no matter what happens, an investor’s ownership of their villa and legal lease of the land cannot be disputed. On the ground floor of this beach house is a large living room with bar providing access to the terrace that gives its owners amazing views of the ocean and the lush tropical landscaped garden. The living room of this luxury beach property gives access to a separate large and fully equipped kitchen that can be divided from the living room with a sliding door. The living room also gives access to the master bedroom and a 2nd bedroom with its own private bathroom with bathtub, toilet and sink. The master bedroom has a large walk in cabinet that provides access the a private bathroom with toilet, double sink, bathtub and separate shower. Near the bar at the ground floor a beautiful hard wood stair gives access to the 2nd floor where two extra bedrooms and a bathroom are located. This amazing beach house in the philippines is set on a large beautiful landscaped beach front lot of 2200 square meters. At the entrance of the beach property is a large 60 square meters car garage with utility room. If you plan to buy a beach house in the Philippines this villa provides everything expected of a western standard luxury home. This beautiful beach front house for sale has a total floor space of 124 square meters; the beach house has two bedrooms and two bathrooms both with bathtub. The property is about 100 meters from the beach and has beautiful ocean view. Located 150 meters from the beach and with a total floor space of 80 square meters villa G1 is the smallest of the residential houses in the beach development. With two bedroom and two bathrooms this beach house is an ideal long term beach vacation property, the house has a fully equipped kitchen and open plan living room. The master bedroom has its own private bathroom with bathtub, toilet and sink, a 2nd bathroom with shower and toilet is accessible from the living room. The villa has split type air con in all the rooms and the 14 square meters covered terrace is overlooking the swimming pools and the development. The master bedroom has its own private bathroom with bathtub, toilet and sink, a 2nd bathroom with shower and toilet is accessible from the living room. The villa has split type air con in all the rooms and the 14 square meters covered terrace is overlooking the swimming pools and the development. The house is set on a beautiful landscaped lot of 430 square meters that includes two fruit bearing mango trees. The house can be used as permanent residence or a 2nd beach home that can provide its owner with a rental income when placed in the rental program. This beach house for sale is constructed on an elevated lot providing amazing views of the development and the ocean which is about 200 meters from the house. The modern kitchen has all comfort and the living room provides access to the breezy ocean view terrace. This beautiful beach house is built to western standards and has split type air con in all the rooms. This is an ideal home for those that plan to buy a beach house in the Philippines and can be used as an permanent retirement home or a 2nd house that can provide its owners a source of rental income. The rental beach homes in villa waterfront beach residences are available for short and long term rent. The beach development is 19km from the city of Dumaguete and can easily be reached by public transportation which is passing by every 30 minutes at the entrance of the development. Our rental beach and near beach homes provide the perfect get a way for those that like to have a beach vacation near Dumaguete in the Philippines. In front of the development is a protected marine reserve which is perfect for swimming, snorkelling or scuba diving, Apo Island which is one of the world’s best diving spots is only a 30 minutes boat ride away from villa waterfront beach residences. Some of Dauin’s best resorts, dive shops and restaurants are only a few meters away from the beach development. This luxurious 72 sq.m. one bedroom resort villa will be available for rent by late 2014. The villa will be located 100 meters from the beach and will have stunning views of the ocean. 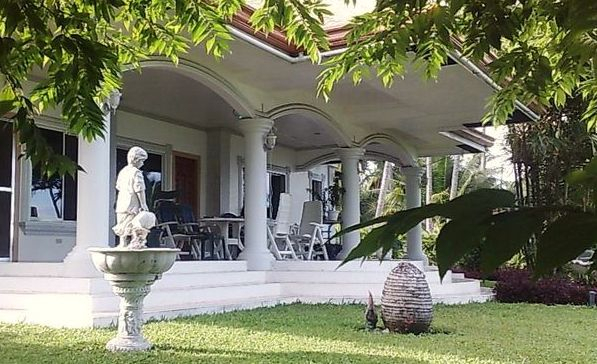 By using only the best and high end building materials this villa will set a new bar in terms of price/quality for vacation rentals in Dumaguete, Dauin. The open plan living with modern kitchen has a total floor area of 33 square meters and the 17 square meters bedroom with luxury bathroom provides all the comfort of a 4 star hotel suite. This Philippine vacation beach house can be rented from two days up to one year. With a total floor of 80 square meters it is the ideal vacation beach house for those that want to rent a beach house in the Philippines to get away from the cold winters at home. The two bedrooms and two bathrooms can accommodate four people and the energy saving air con will keep the house cool in the hot summer months. This vacation beach house has its own private and beautiful landscaped garden and renters of this vacation house have access to the beach and the developments private beach front area. 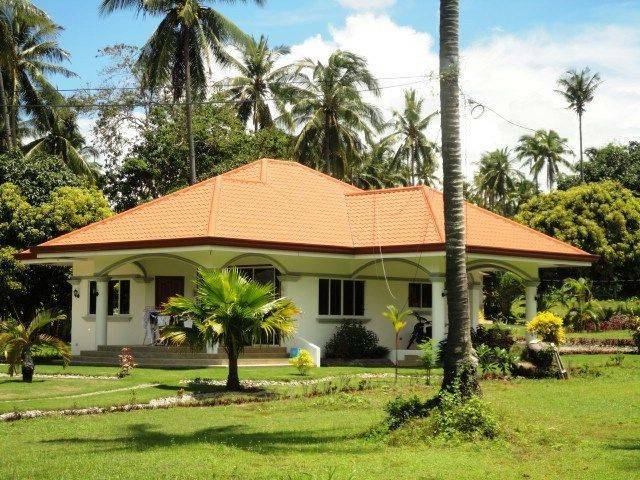 Looking for a vacation beach house for rent near Dumaguete, Philippines? The villa waterfront rental houses are built to western standards providing you all the comfort you have at home. The houses are available for long or short term rental to enjoy a perfect beach vacation in the Philippines. Ocean view vacation beach house for rent in Negros Oriental, Philippines. Ocean view beach villa D2 is the ideal house if you want to retire in the Philippines but do not want to buy your own beach home. The villa can be rented up to six months and provides all the luxury and comforts one will expect of a western standard home. The open plan living room with modern kitchen provides all modern comfort for a long vacation or permanent beach retirement in the Philippines. The two bedrooms and bathrooms of the vacation beach house can accommodate four persons without compromising their privacy. The house has central hot water system and all rooms have split type air con.